Chief AMM Robert Harris, son of Mr. and Mrs. Edrick Harris, attended Chatanooga High School; husband of the former Emma Stoll. 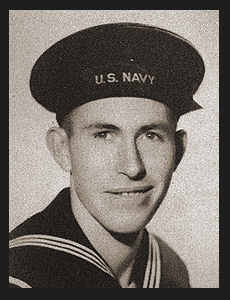 Entered Navy in Jan., 1942, trained in San Diego, Cal., and Great Lakes, Ill.; served in Pearl Harbor. Awarded Good Conduct Medal, Asiatic-Pacific Ribbon with three Battle Stars.